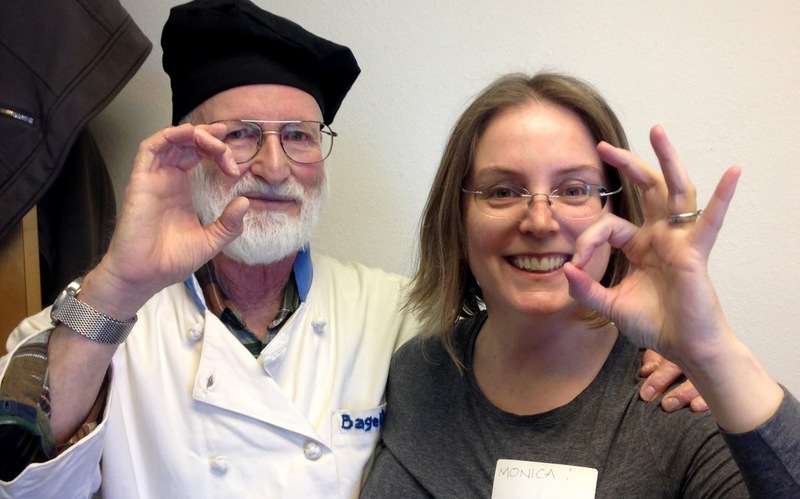 Mouth of Wonder: Report from the Bagel-Making Workshop with Bagel Bob! 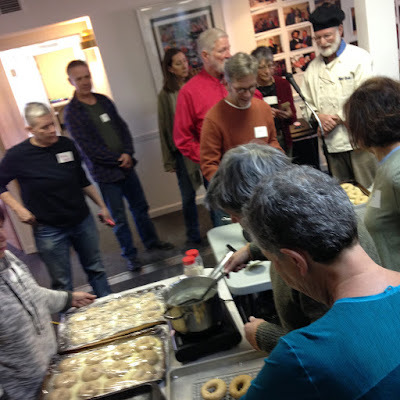 Report from the Bagel-Making Workshop with Bagel Bob! Hi folks, It's Monica! Just wanted to stop by and report on a fun thing my friend Laura and I did this past weekend. 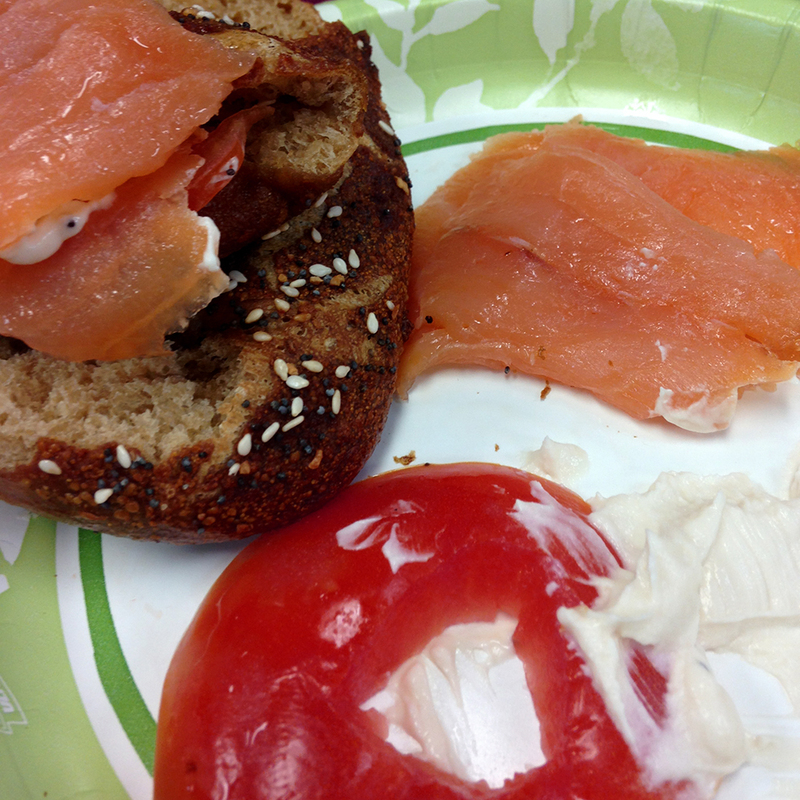 The Santa Fe Jewish Center hosted a bagel making-event with Bagel Bob! About 50 people attended — I think that was way more people than were expected so it was a little chaotic, but still fun. 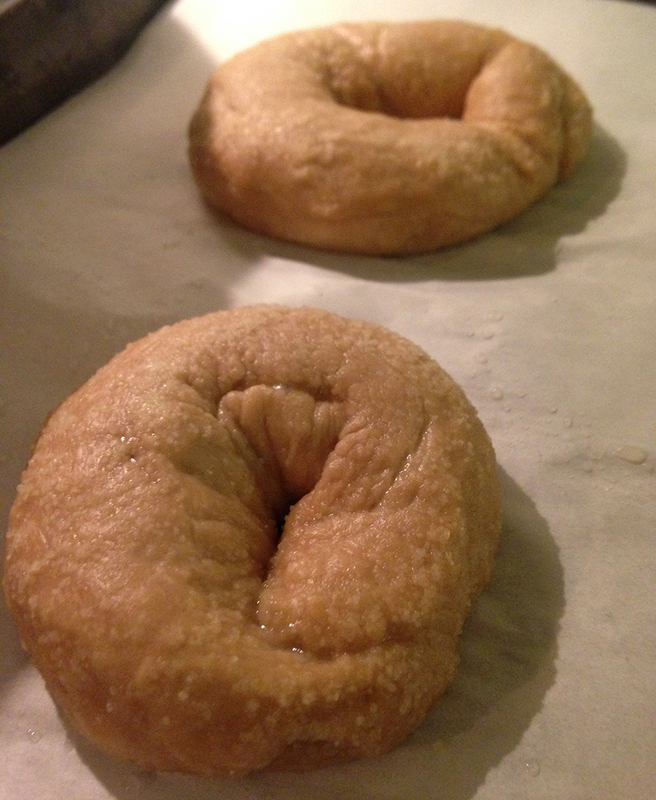 They had pre-formed, pre-risen bagels ready for boiling and baking (Laura and I got drafted to help with extra boiling stations and baking). Next, while the bagels baked, Bob showed everyone how to mix the dough and roll out and form bagels. 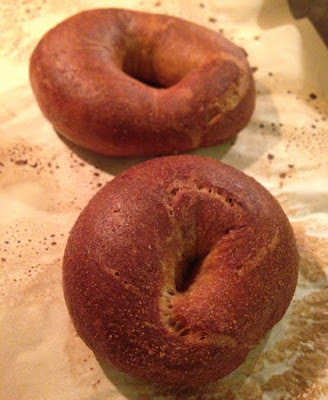 Everyone got newly made bagels to rise and and boil/bake at home, as well as a copy of Bob's UPDATED Master Bagel Recipe. Then we all ate bagels with lox! 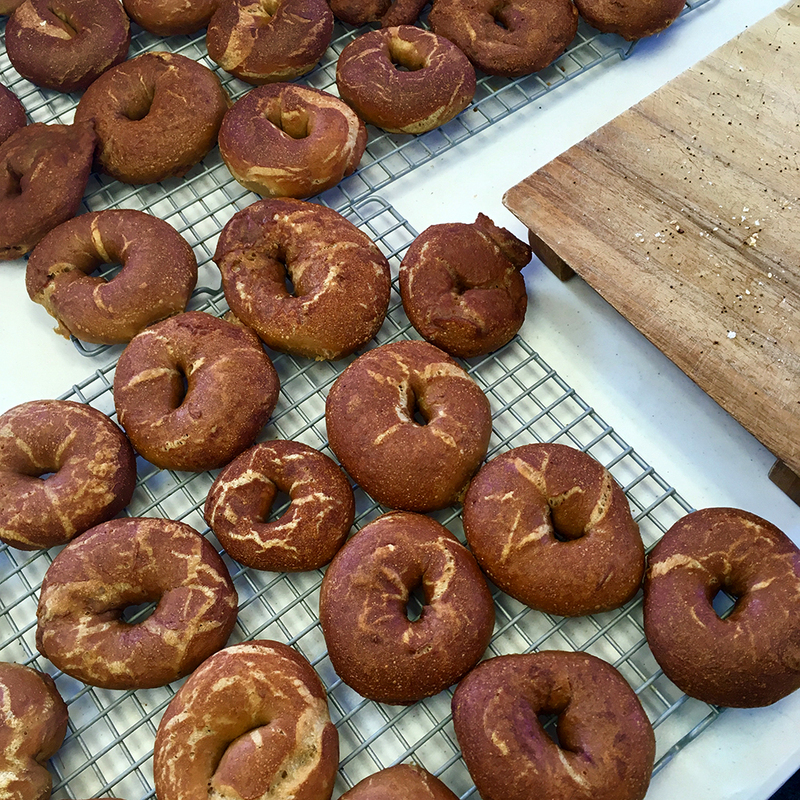 Left to right: one of the boiling stations in the main room; over 50 bagels baked (Photo by Laura Wagner); bagel schmear with lox! 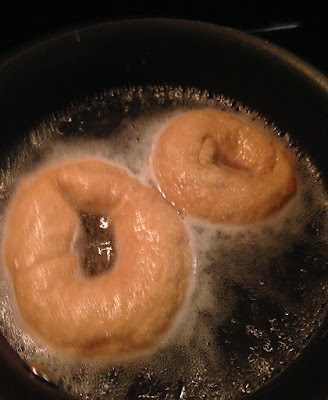 I boiled and baked my bagels at home later that night. Yum! 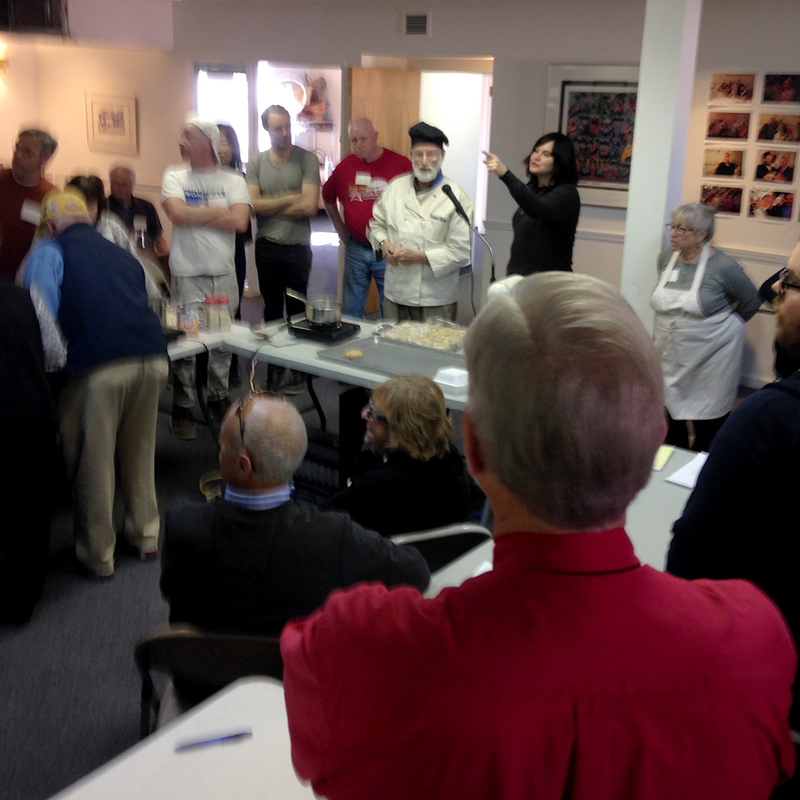 You can check out more photos of the event at the Santa Fe Jewish Center's Facebook page. Wow looks like a great time. Sending out my love to all Bagel Bob fans and the man himself.Thank you Monica for posting!! We had a great time, and Bob talked up both you and your "perfect New York palate"! 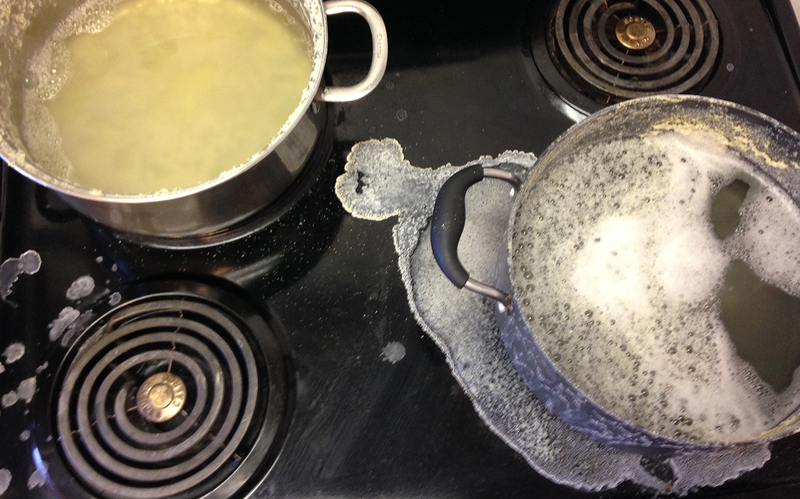 Hey you guys really kicked in in the kitchen! Bob is awesome! And you guys are always invited to the Jewish Center to make bagels or any other (kosher) food! You have great volunteer spirit! We uploaded Bob's bagel Bible on our website santafejcc.com/bagels.